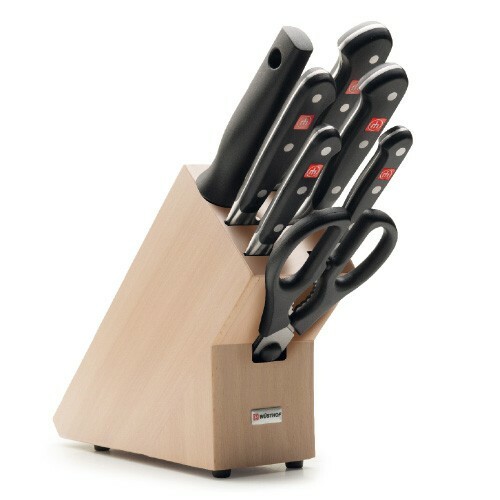 This Wusthof Classic knife block set is a full set that contains all of the items you will need for all of your everyday food preparation tasks, and represents exceptional value for money. The Wusthof Classic collection is created from a single blank of high carbon no-stain steel, a special alloyed steel. They are made with 40 major manufacturing steps from forging to tempering, to tempering and polishing. Wusthiof have been manufacuring knives in thier factory in Solingen, Germany since 1814.